Food service professionals attending the Beef Experience Tour. 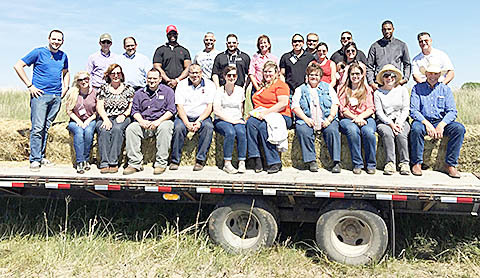 Boone County and other area counties were part of a Nebraska Beef Experience Tour held June 7-8 for a group of 24 influencers from across the country. Nebraska Beef Council hosted the annual Beef Experience Tour. Attendees included chefs, food service professionals, dietitians and culinary instructors from states such as New York, Ohio, Tennessee, Maryland, Connecticut and Pennsylvania. The educational tour is offered to help attendees better understand the beef production process and how the various segments of the beef community work together to raise quality beef products. The attendees experienced the Nebraska Sandhills at Wagonhammer Ranch near Bartlett and Glaser Farms, an organic grass-finished beef operation near Spalding. 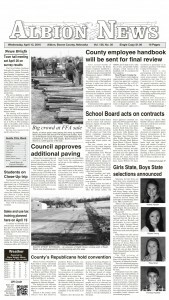 The group had a meal hosted by the Boone-Nance Cattlemen at the Albion Country Club during their visit. Read more in the June 15 Albion News Print & E-Editions.